The concept behind a microcell tower is to place a local cell phone tower where you need it most and to cover a very small area. If your cell phone reception is spotty, or non-existent, you can use a microcell in your home or office to create a localized coverage zone. The catch is that you need to have good data bandwidth since the cell phone calls will be passed through your data lines rather than over the air. AT&T recommends a minimum of 1.5 Mbps downstream and 256 kbps upstream. To function, the microcell tower is plugged in to your broadband network. While some microcells offer a wireless connection, it’s preferable to use an actual, physical cable connection to ensure the highest quality conversation. The data from the microcell is recognized by your carrier (ATT, Verizon or Sprint) and their data server will complete the call through another tower or directly on their network. After all, a conversation is just another bunch of data to the network. 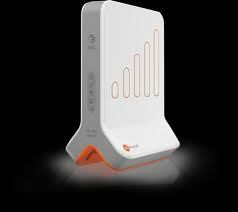 On the other side, the tower transmits a low power signal sufficient to cover the footprint of your house. However, relative to a distant or obscured tower, the microcell signal is relatively strong. Your cell phone will recognize the microcell as the strongest signal and use that for all outgoing calls. Unlike using an IP / VOIP calling solution, such as Skype, cell phone calls made over your broadband connection using a microcell will still use up cell phone minutes. The good news is that if your reception is truly bad, your carrier will most likely provide you a microcell tower at no cost. If you need to buy one, they are in the $40 to $100 range depending on your cell phone company and the features. Most equipment will also support over a dozen different cell phones, so your family, friends or colleagues can all make calls. Calix announces the acquisition of Ericsson Fiber products division, including the EDA1500 GPON Family.